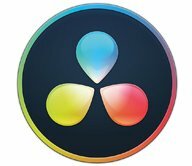 Film Editor Jonny Elwin has compiled a bunch of DaVinci Resolve color grading tutorials. Topics include color correction, importing a reference movie, troubleshooting, smooth 4K playback, using curves and much more. Jonny Elwyn is a freelance film editor and writer, living and working in London, UK. As a freelance film editor he works for a diverse range of clients handling everything from on-set rushes and offline editorial through to the final sound mix and colour grade. As a freelance writer he regularly contributes to PremiumBeat.com and RedsharkNews, among others. This tutorial by THIS GUY EDITS is one of the many tutorials Jonny recommends.